Honeydukes is a candy store in the Wizarding World of Harry Potter in Universal Orlando. It is designed to look like the Honeydukes sweetshop in the Harry Potter and the Prisoner of Azkaban movie. The store has peppermint green shelves and a cotton-candy pink spiral staircase (that you can't climb). Honeydukes was first mentioned in the Harry Potter and the Prisoner of Azkaban book. 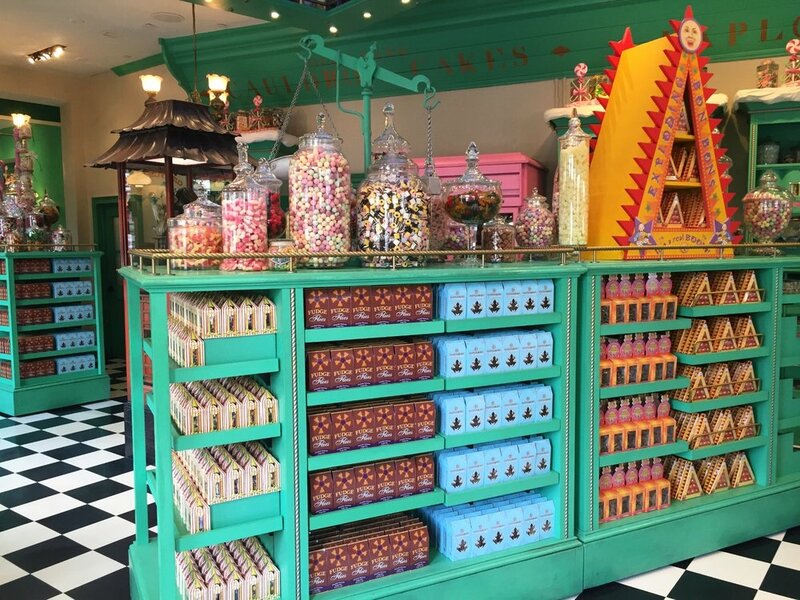 Many of the candies in the Honeydukes store in Orlando were inspired by candies specifically mentioned in the book, such as Chocolate Frogs, Bertie Bott's Every Flavour Beans, Fudge Flies, Sugar Quills, Chocoballs, Acid Pops, etc. Other candies were inspired by the candies featured in the movies. For example, the White Chocolate Skulls in the Honeydukes store in Orlando were modeled on the candy skulls seen in the Honeydukes scene in the Harry Potter and the Prisoner of Azkaban film. These Day of the Dead inspired skeletons were created by the film's prop department as a nod to director Alfonso Cuarón’s Mexican heritage. Some of the other candy is more generic. For example, you can buy apple rings, peach rings, orange slices, gummy worms, and other candies that can be purchased at almost any candy store. The only thing that is special about them is that they come in Honeydukes packaging. 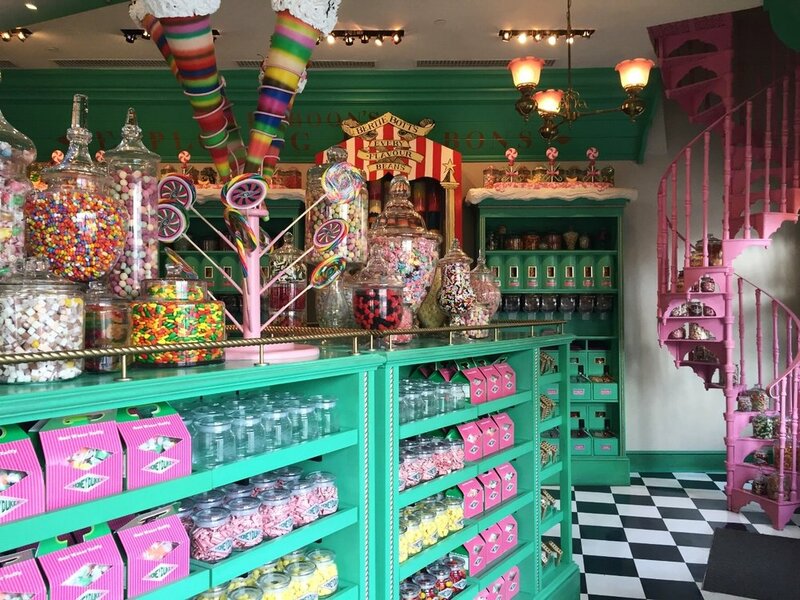 Honeydukes has peppermint green shelves and a cotton-candy pink spiral staircase. The shelves of Honeydukes are filled with candy. Honeydukes is located in The Wizarding World of Harry Potter - Hogsmeade in Islands of Adventure. Here are the candies (with prices) available at Honeydukes. You can see pictures of the candies at the bottom of this article. 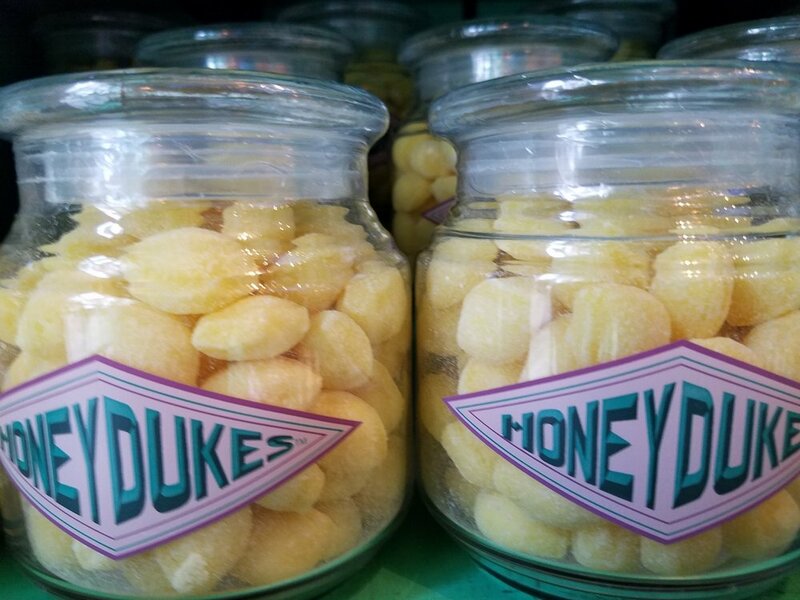 In addition to the candy mentioned above, you can also purchase bulk candy, empty glass jars with the Honeydukes logo, and drinks like Pumpkin Juice and Gillywater. Other sweet treats include fudge, candy apples, and bakery items, which are stored in a glass case near the register. Bakery treats and fudge from from Honeydukes. More bakery treats and fudge from from Honeydukes. 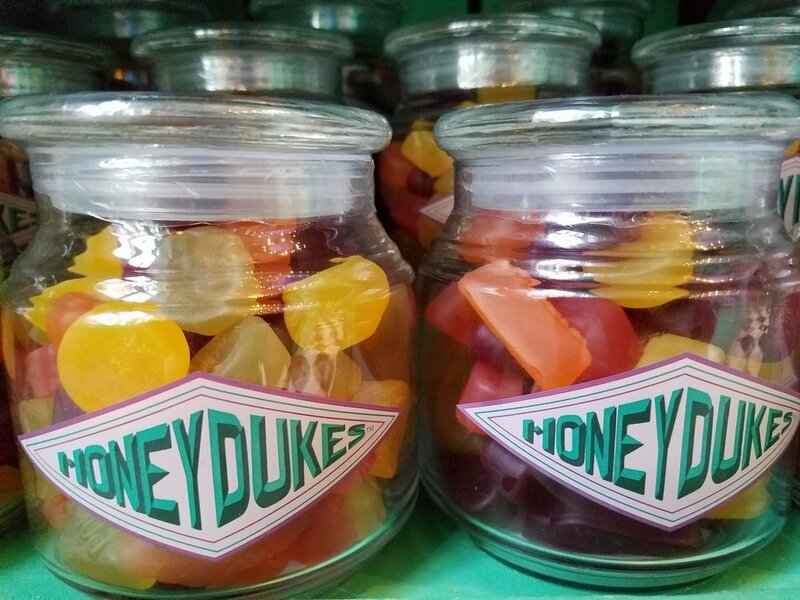 We haven't tried all of the candy at Honeydukes, but we have tried quite a bit of it. 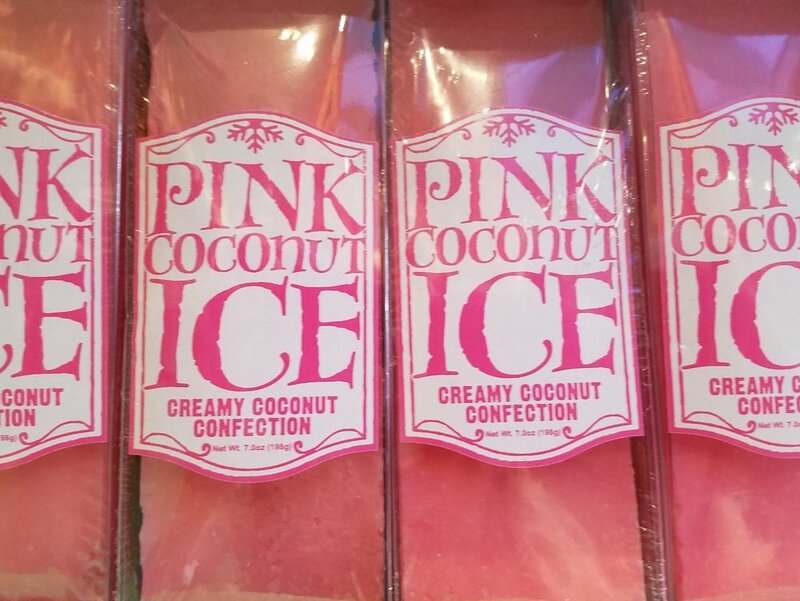 In general, we think the candy packaging is really cool, but the candy itself is a bit overpriced based on the quality of most items. For example, a small box of jelly beans or a Chocolate Frog will cost you $10.95 each. The Chocolate Frog comes in a nifty container that was inspired by the packaging seen in the Harry Potter and the Sorcerer's Stone movie. The Chocolate Frog inside of the packaging is rather large, weighing in at 5.3 ounces of solid chocolate - and we mean solid. These frogs are hard as rocks and difficult to bite into or cut with a knife! The chocolate is also poor quality; it tastes cheap and a little chalky. But as Ron Weasley says in the Harry Potter and the Sorcerer's Stone movie, "it's the cards that you want." Each Chocolate Frog comes with a famous witch or wizard card. Although there have been special cards made for special events, such as the Celebration of Harry Potter, your card will most likely feature one of the four founders of Hogwarts: Godric Gryffindor, Helga Hufflepuff, Rowena Ravenclaw, or Salazar Slytherin. 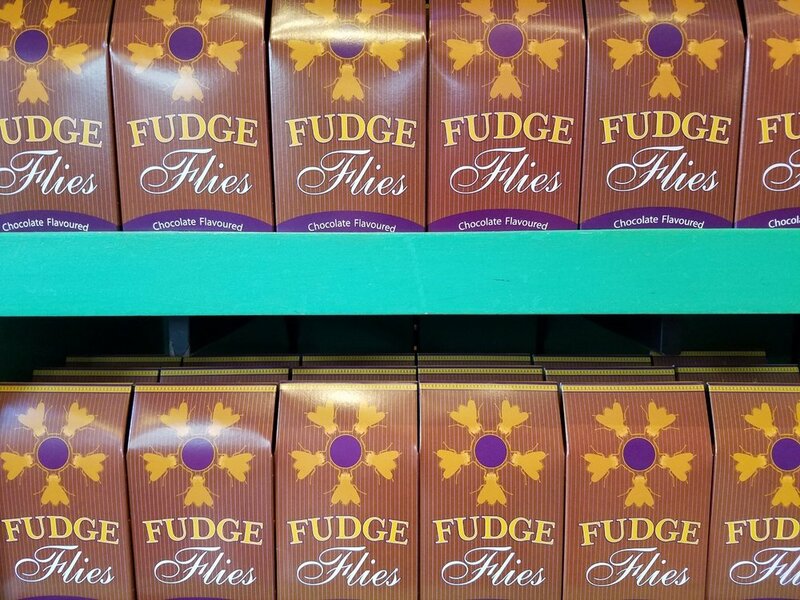 The Chocolate Frogs aren't the only sweet treat at Honeydukes that suffers from poor quality chocolate. The Chocolate Wands, Chocolate Cauldron, Fudge Flies, U-No-Poo, and Exploding Bon Bons could all be greatly improved if the chocolate tasted better. Out of all of the packaged chocolate items, the Peppermint Toads probably taste the best. They are covered in dark chocolate and have a creamy minty center. 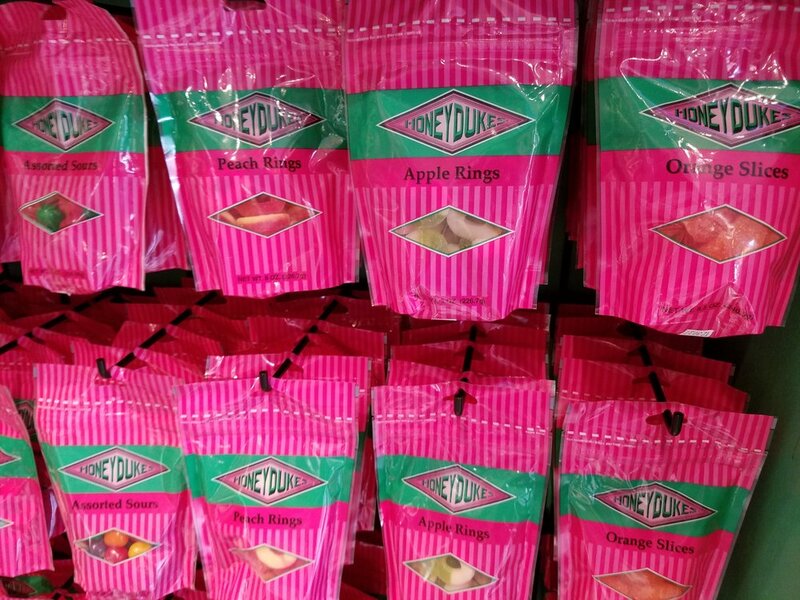 Some of the candies that we think do taste okay are just that: okay. There's really nothing special about them. In other words, we don’t crave these candies between visits. This includes the Salt Water Taffy, Jelly Slugs, Acid Pops, Sugar Quills, Blood Pops and Wine Gums. The best (or at least the most interesting) candy is the Bertie Bott's Every Flavour Beans. Some of these jelly beans are tasty (marshmallow, banana, tutti-fruiti, etc. ); some are just weird (sausage, black pepper, green grass, etc. ); and some are downright gross and may need to be spit out rather than swallowed (bogey, vomit, dirt, etc.). We strongly recommend avoiding the vomit one. 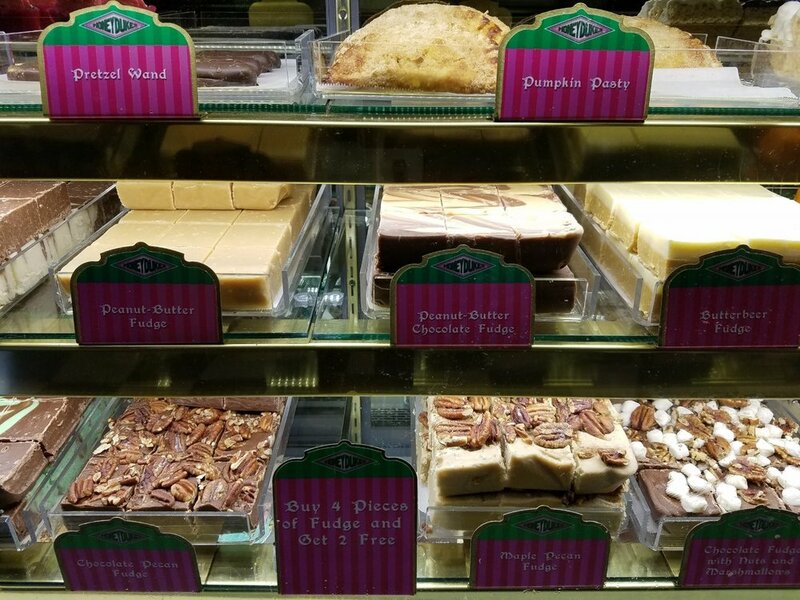 Our favorite treats at Honeydukes can be found in the glass case near the register. We are particularly fond of the Cauldron Cake, which is made with six kinds of chocolate. (Note: The Cauldron Cake has changed. The new Cauldron Cake is more like a traditional cupcake. However, it is served in a silicone cauldron that can be kept as a souvenir and reused to bake other treats). Former Cauldron Cake from Honeydukes. The new Cauldron Cake looks different. Vanilla Cupcake with Strawberry Frosting and a Peppermint Toad Garnish from Honeydukes. Honeydukes is a fun store to visit. We recommend going in to look around even if you don’t plan on buying anything. However, you should know that this store can get really busy. Also, space is very tight. Getting around in a wheelchair or with a group of kids can be especially difficult on a crowded day. If you want to avoid the crowd, try shopping very early in the morning (right after the store opens). If you have an interactive wand, you can cast the Revelio spell on the Chocolate Frog box in the Honeydukes window (from the exterior of Honeydukes). The box will open to reveal a Chocolate Frog that croaks three times. If you like Honeydukes, you may also want to visit Sugarplum’s Sweet Shop in The Wizarding World of Harry Potter - Diagon Alley in Universal Studios Florida. This store opened in February of 2016. It sells many of the same items as well as a few other things that you can't find in Honeydukes. 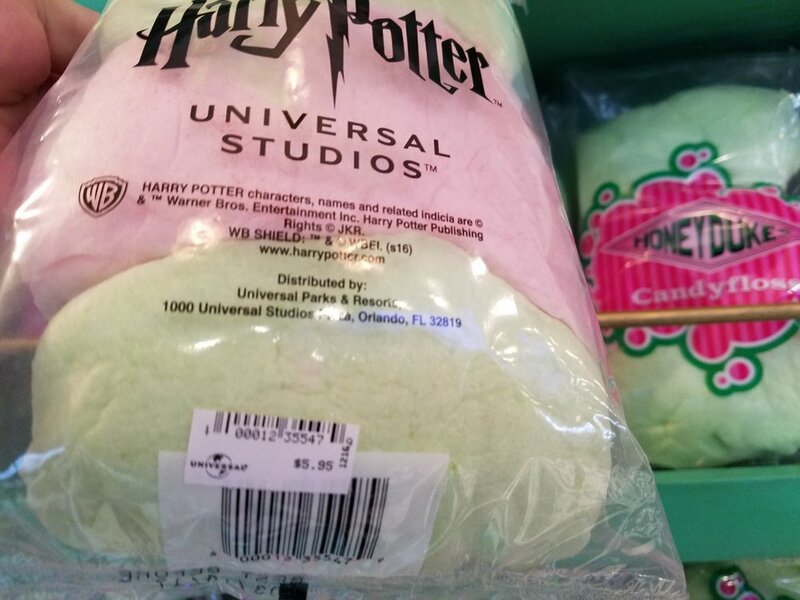 Another place to find Harry Potter inspired candy is Weasley's Wizard Wheezes (also in Diagon Alley), which sells U-No-Poo and Skiving Snackboxes, the latter of which includes Fever Fudge, Puking Pastilles, Fainting Fancies, and Nosebleed Nougat. 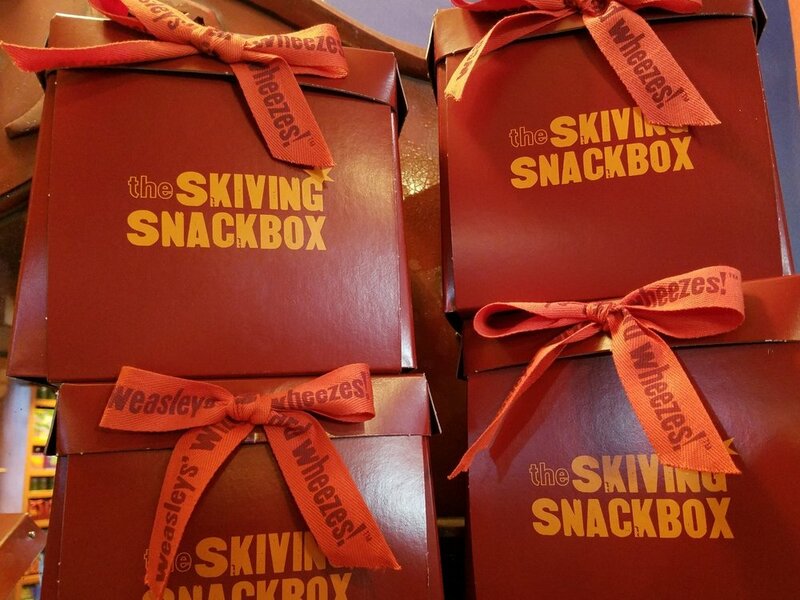 Skiving Snackboxes from Weasley's Wizarding Wheezes in Diagon Alley. Honeydukes was established in 1641. It is owned and operated by Ambrosius Flume and his wife. Honeydukes is a popular stop for Hogwarts students who are visiting Hogsmeade on the weekends. A secret passage connects Honeydukes and Hogwarts School of Witchcraft and Wizardry. Harry Potter, Fred Weasley, and George Weasley have all used this passage at one point to sneak back and forth. Chocolate Frogs are a popular Christmas gift in the Harry Potter books. Hermione gave Harry a box of Chocolate Frogs for Christmas in their first year. In his fourth year, Harry also got Chocolate Frogs from Hagrid for Christmas. Ron received Chocolate Frogs for Christmas in year five. Chocolate Frogs are one of Harry Potter's favorite sweets. J.K. Rowling has also stated that Chocolate Frogs are her favorite wizarding candy because of the cards. Ron's rat, Scabbers, likes to eat Fudge Flies. The food trolley on the Hogwarts Express is called the Honeydukes Express. The candy packaging in the Harry Potter film was created by Graphic designers Miraphora Mina and Eduardo Lima. People on the set of the Harry Potter and the Prisoner of Azkaban movie were told that the Honeydukes sweets were covered in an inedible lacquered finish. In reality, there was no lacquer on the food, but this fib did discourage the actors and actresses from eating the props. 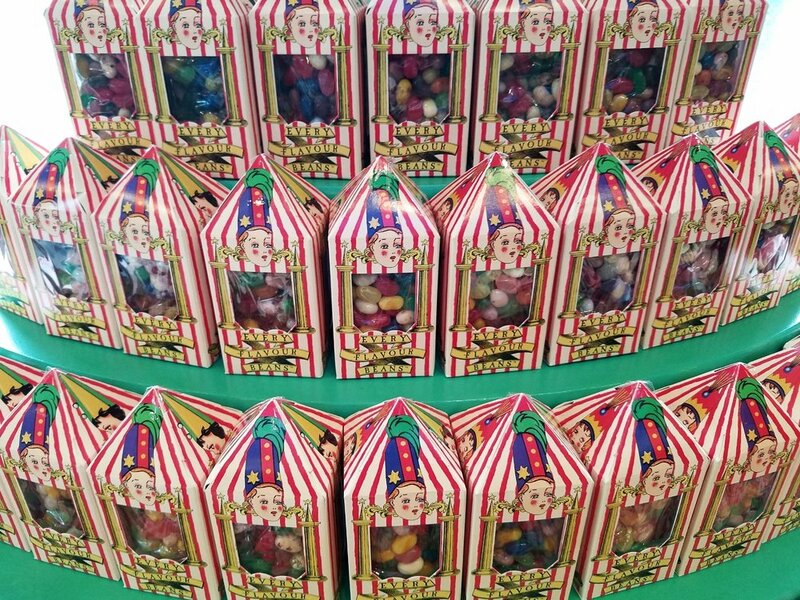 Here are some pictures of the most popular candy at Honeydukes.